The Loudoun County Sheriff’s Office has released a video of an armed robbery at a Sterling gas station in hopes that someone will be able to identify the suspect. 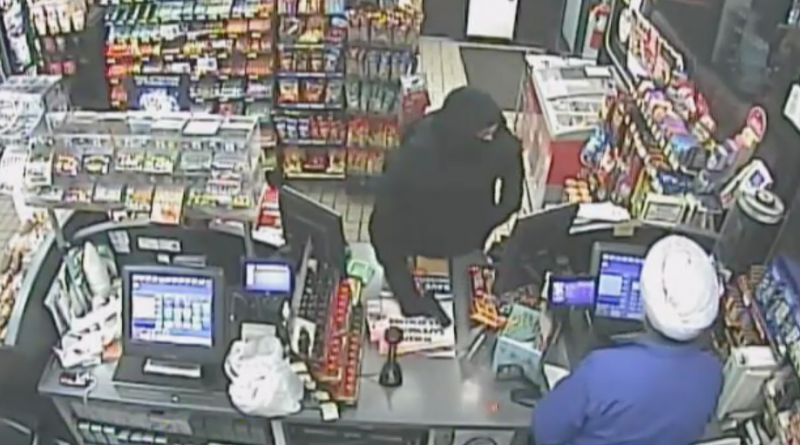 Around 9:56 p.m. Monday, man wearing a mask and displaying a handgun entered the Sunoco gas station in the 700 block of West Church Road in Sterling and stole cash. Shortly after midnight Tuesday, the same suspect entered the Sunoco gas station on Pigeon Hill Drive in CountrySide and also stole cash from the clerk. The suspect is believed to be a white male, approximately 5-feet, 5-inches tall. He was wearing a black shirt and pants with a ski-like mask covering most of his face. Anyone with information regarding his possible identity is asked to contact Detective J. Totaro at 703-777-0475.